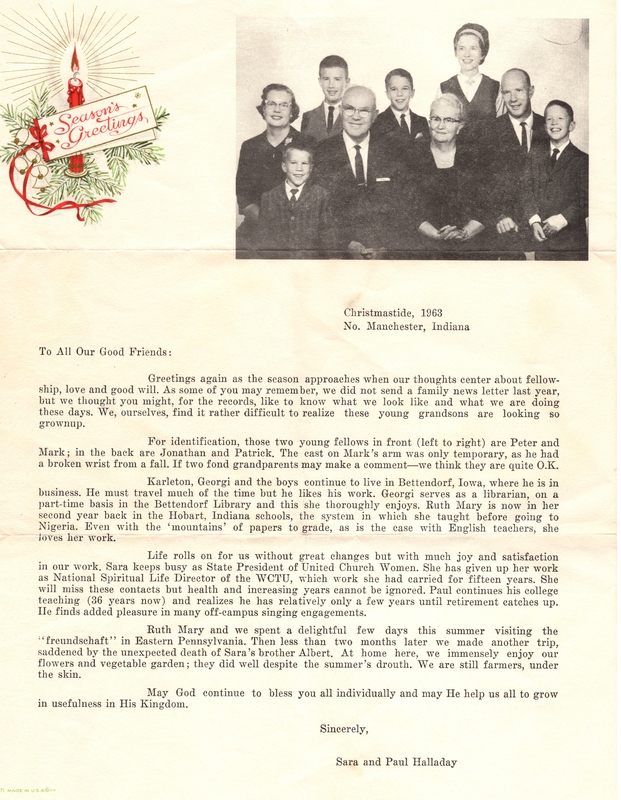 “What a find!” A precious picture and precious letter from Sara and her family in 1963 . . .